The miso fish & pumpkin recipe I recently wrote about is actually quite close to a fairly common Chinese fish dish, as you can see here and here. 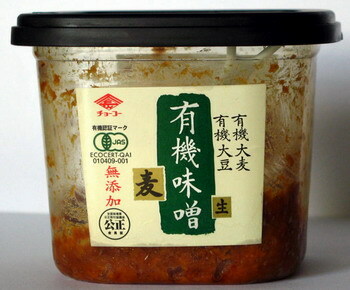 Instead of miso, Chinese fermented soy bean paste (豆酱 or tau cheo in Hokkien dialect) is used instead. A typical jar looks like this. Concerned about additives and my food intolerances, I have avoided commercial supermarket-shelf Asian sauces for some years now. However, miso is a great substitute for tau cheo, which my family has successfully used even in traditional recipes like Mee Siam, and organic miso is also widely available, in many varieties. I’ve seen a huge range of miso at reasonable prices at Organic Paradise (including macrobiotic grade Mitoku and repackaged Muso brands), plenty of unusual varieties by South River brand at rather exorbitant prices at Brown Rice Paradise. 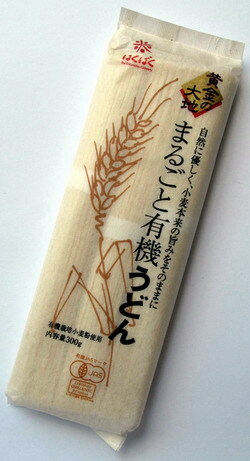 Do choose miso made entirely from soya beans if you want a taste as close as possible to tau cheo. One thing I’ve noticed is that organic products from Japan can also be found in regular supermarkets, hiding amongst the non-organic products. Here’s a sampling of what I’ve found. 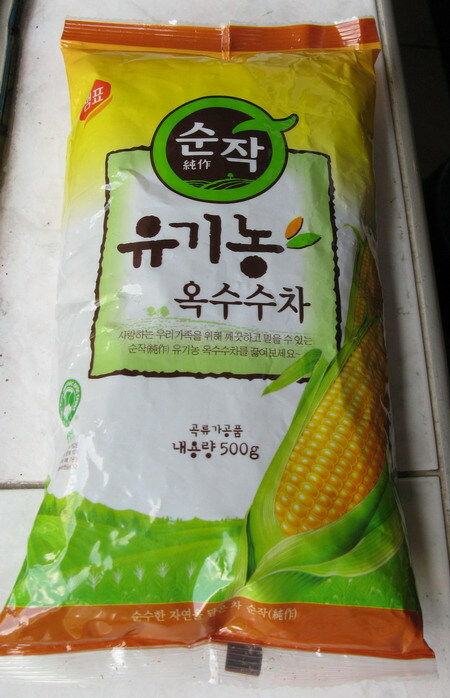 Korean corn tea at Korean grocery store in Novena Square2. I’ve been searching for a nice gaibei/gaiwan (蓋杯/ 蓋碗) for some time now. My tea pots are all far too big for one person, especially for drinking fine teas which should only be consumed in miniscule amounts (partly because of their high caffeine content and very cooling properties, but also in order to savour their delicate tastes). I thought a gaiwanwould be ideal as it can be used for brewing tea as well as drinking milder teas, which can be consumed in larger quantities. I’ve also always found glass tea utensils to be very pretty as you can see the leaves unfolding and admire the colour of the tea. These Hario handmade glass items are now on sale in Takashimaya and Istean and I was attracted by their lovely, light, delicate feel. This 85ml fluted gaibei I chose is the cheaper of the two available – S$7.50 (Takashimaya)/S$9 (Isetan & Carrefour) as opposed to the plain glass one at S$23. Oddly enough, in the Hario 2004 catalogue, the fluted cup is 1800¥ and the plain one is 1600¥, so it’s a real steal! I think they are being sold off cheap because they are the last few pieces of a line that’s been discontinued as you can no longer find the fluted items in the 2006 catalogue. The tea shown here is Mitoku brand Mu (無) tea, a blend of sixteen traditional Chinese medicine plants & herbs (in tea bag form), developed by macrobiotic guru, George Ohsawa. The distinctive aroma is pretty powerful, and quite likely to be palatable only to those who are used to drinking Chinese herbal soups and TCM medicinal potions. It’s a potent brew – a tiny shot of this really hits my system! With its pervasive herbal smell, Mu tea is best served in a glass cup like this which won’t absorb the smell. The easiest place to find this Mu (無) tea is at Meidi-ya supermarket at Liang Court, which sells Mitoku products noticeably cheaper than any of the health food shops I’ve been to. In addition to the gaibei, I also bought two tiny matching tea cups (70ml, S$1.90 [Takashimaya]/S$3 [Isetan & Carrefour] each). The 85ml gaibei can brew enough to fill each of the two cups just over half full. The decorative plastic tray is from Daiso (S$2). The fluted decorations give these cups a uniquely retro feel. When he first saw these, my father thought I had dug up some of grandma’s old glassware :). As glass cups are thin and can be very hot to the touch, they are only suitable for teas which are not brewed with boiling water, i.e. green teas. 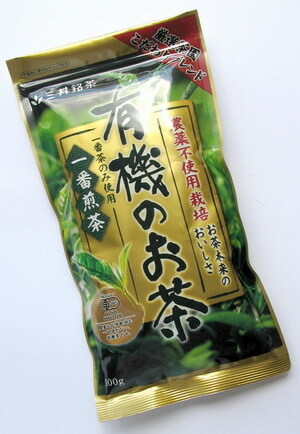 High quality green teas, such as gyokuro, should be brewed at 50°C-60°C, and everyday green teas at 80°C. Chinese oolong tea, which is a semi-fermented tea, should be brewed at 80°C-90°C. See this temperature chart for Japanese teas. The tea being served here is Fukujuen brand Japanese gyokuro karigane (to be brewed at 60°C-70°C). Karigane tea is a kind of kukicha as it is the stems and veins of the tea plant, produced as a by-product of either sencha, or in this case, gyokuro. The word ‘karigane’ means ‘wild geese’ because the floating twigs resemble wild geese who rest on the ocean surface with their wings open in the course of their migratory journeys (read more here). The imagery is so evocative and poetic, and is a reflection of the spirit of tea culture. As my tea appreciation teacher would often say, drinking tea is a way to bring a little window of calmness into our hectic lives. The careful attention we pay to the brewing of the tea and elegant use of the brewing utensils strikes me as being very meditative. To smoothly pour the water from the kettle to the pot, and from the pot to the cups, our hearts must be still and we must focus our concentration on the task at hand. Continuing from my previous posting on the theme of listening to your body, and earlier ones commenting on the yin/yang properties of foods, over the years I have come to notice a very clear instance when my body chooses what food it needs to correct an imbalance. At times when I’m very stressed, I simply don’t feel like eating meat. In the past I thought it was because meat was too ‘heavy’ to be managed by my digestive system when my stomach was feeling uncomfortable or even nauseous from stress. In a way that’s true, but what could also be happening is that meats are also very yang. This chart shows where different foods lie on the yin/yang scale in macrobiotics. Stress is one of the characteristics of a body that is excessively yang. Therefore, the body leans towards foods that are neutral or yin in nature to balance out the excess yang. If the body is seriously imbalanced, then it will crave for things on the other extreme of the scale — e.g. if you are very stressed and yang, there’ll be a tendency to reach for sugar, coffee, alcohol and processed junk food. When looking through the book, Wood Becomes Water: Chinese Medicine in Everyday Life by Gail Reichstein, I noticed her reminder to vegetarians to be careful of the tendency to eat too many yin foods. Going by the chart above, you’ll be all right with enough eggs, diary, miso and tamari (I won’t recommend too much salt!). Here are more tables to help you balance your yin/yang by adjusting your food intake to your emotional and physical state at a particular point in time. Although it doesn’t say so in the title, the Turner book is actually based on macrobiotics. I have found it very helpful in learning to understand yin/yang, because the principles are quite well-explained. (I’ve also found these articles by Richard Seah very useful.) It can be rather frustrating not understanding how to tell what foods are yin or yang. Once, I went to see a Traditional Chinese Medicine physician who told me that my constitution was too yin, rattled off a few foods I should avoid (such as green beans 綠豆 and tomatoes) but had no time or patience to explain more, and sent me off with some Chinese herbal potions. Besides the herbal medicine, I was very keen to know how to balance my system with foods in a more general way. I’m still trying to learn enough to do so. However, the problem with macrobiotics & Traditional Chinese Medicine is that the classification of yin/yang in the two systems is rather different. This analysis of the development of the macrobiotics movement (2005) deals with the issue, as does this page and this one. Even though macrobiotics seems to place a lot of importance on diet, it actually covers very broad areas including the environment, climate, the landscape (as in geomancy and feng shui), Northern vs Southern hemisphere and even cosmic forces. It also considers human relationships, exercise, work and other activity, emotions, attitudes and a host of other lifestyle factors. I gave up on macrobiotics when I felt that I couldn’t learn enough about the basic principles from the books I was reading in order to apply them to my own personal conditions. For one thing, most books are targeted at readers in temperate countries, not tropical Southeast Asia. However, as I try to understand and read myself and my circumstances more accurately, I may get better at putting into practice ways of balancing yin & yang. Just as each individual needs to discover his or her own level of caffeine tolerance, it’s also important to know the state of your body’s constitution to determine what kind of tea and how much you should drink. I’m trying to find out more about tea and the Traditional Chinese Medicine (TCM) concepts of heaty/cooling/damp/dry. According to macrobiotics, all teas are yin, but houjicha and kukicha are more neutral. The teacher from the Chinese tea appreciation class I attended also warned us that tea is very yin, so those with yin constitutions should drink in moderation. She also pointed out that drinking tea cold made it even more yin. Among Chinese teas, Pu Erh tea is the most neutral. This page on the side-effects of green tea points out that the way the tea is handled also affects its properties. In TCM, tea left to go cold is ‘damp’ and causes phlegm, while drinking tea on an empty stomach causes ‘coldness’ to enter the lung & stomach system. plus other posts on tea.